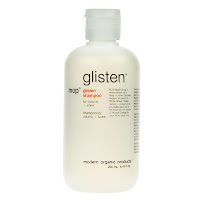 For the last three weeks I have been testing out Modern Organic Products MOP Glisten Shampoo . 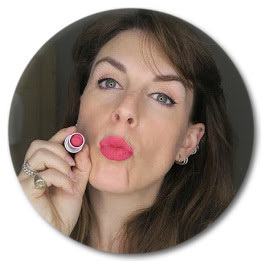 I know that Miss F is a big fan and although I snuck a try of hers when we were living together I'd never used it regularly enough to see how it actually works. I have to say I'm impressed - people have commented on how shiny and healthy my hair is looking which can only be a good thing and it has lasted really well. You don't need to use very much for this to have a real effect. As the name suggests this is an affordable, modern, organic hair care range which protects you hair and your wallet. There are a couple of ranges from Mop - the Glisten that I was testing is a natural shine producing range designed to accentuate the hairs natural pliability and lustre. Because this has made a noticeable difference I really wish I was trying the MOP Glisten Conditioner too as I'm sure together they would have an even more fa ntastic effect. The MOP Glisten Shampoo contains linseed oil, whole wheat protein and Vitamin C which thoroughly cleanse the hair, maple syrup and honey to lock in the shine and moisture and protect the hair from heat (which is fantastic if you can't put down your GHD's). Although at approx £10 this is not the cheapest shampoo on the market is is by no means the most expensive - a bottle does last and you will see the difference.